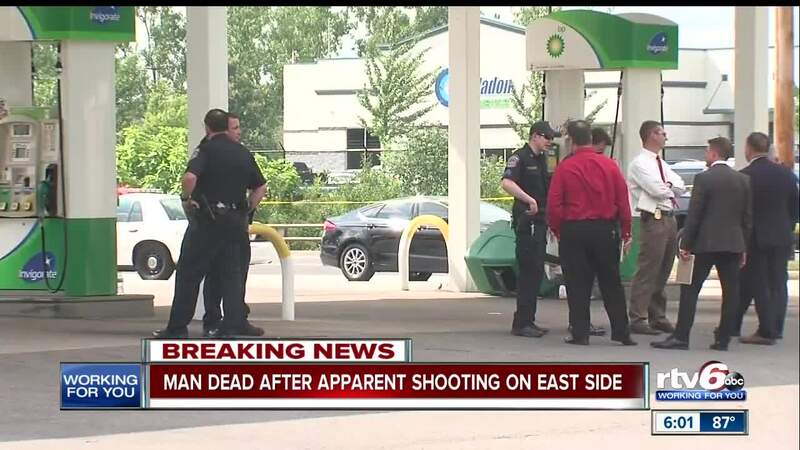 INDIANAPOLIS -- A man found shot in a vehicle at a gas station on Indianapolis' east side Monday afternoon has died. Indianapolis Metropolitan Police Department officers were called to the BP gas station at the intersection of 30th Street and Mitthoeffer Road just after 3:30 p.m. for a report of a person shot. When officers arrived on the scene they found a man suffering from at least one gunshot wound inside of a vehicle in the parking lot. That man was taken to the hospital in critical condition, where he later died. That person's identity has not been released.